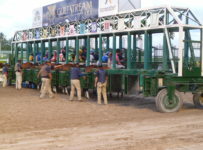 There is a carryover of $27,438 on the Rainbow 6. 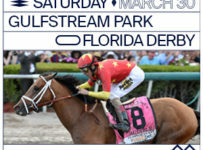 It is on races five through ten. 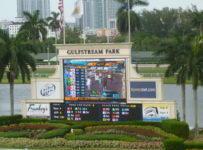 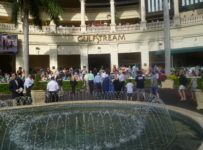 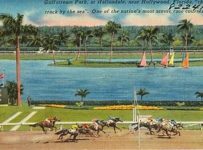 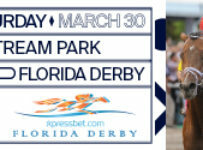 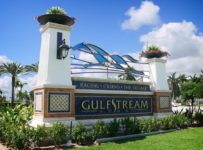 Gulfstream, in Hallandale Beach, has live racing on Wednesdays through Sundays. 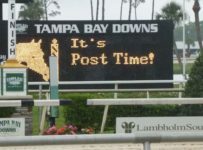 Tampa Bay Downs has a nine-race Wednesday card with first post of 12:27 p.m.
*Gulfstream will have two sets of stakes races on Saturday. 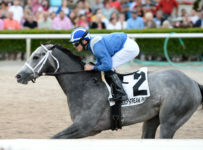 It will hold the five stakes races in the annual Clasico Internacional del Caribe. 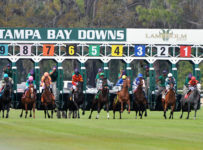 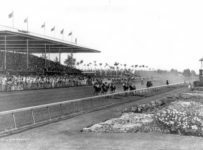 It is the biggest annual event for thoroughbreds that race in Caribbean, Central American and South American nations. 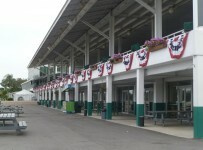 This will be the first time the event is being held in the United States. 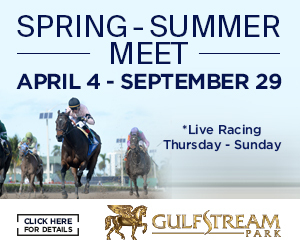 Gulfstream also will hold five stakes races for 2-year-olds. 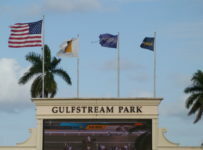 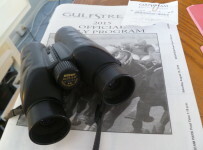 Late Wednesday afternoon, Gulfstream will release entries for the Saturday card.